I have an abiding love of premium steak house, Hawksmoor. 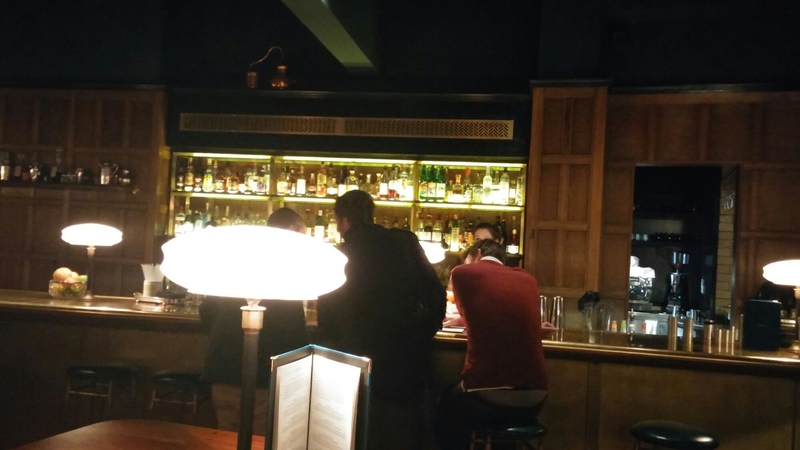 I like the informal and relaxed vibe of the place which is less imposing and certainly less City banker than others in London. This means a scruffy bugger like me doesn’t feel that out of place. Above all I love the food – British beef at its best (no imported stuff, like USDA, Kobe etc., here) from Longhorn cattle happily grazing in the North of “God’s own County” Yorkshire. Hawksmoor’s steaks sit right at the top of the tree in my book. So when a ridiculously early meeting in Manchester required an overnight stay the night before, I was rather pleased (to say the least) to find that Hawksmoor’s first outpost outside of London was conveniently located just around the corner from my hotel. A nicely understated entrance provided for a meet and greet area and a stairway up to the bar. The bar and dining room have a nice, what I image a 1920s speakeasy, feel to them with parquet flooring and art deco lighting. 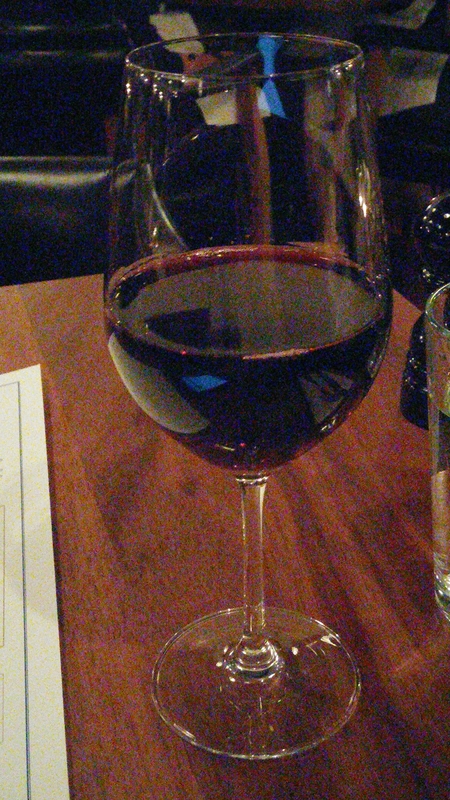 A pre – diner cocktail in the bar would have been nice if I was not dining solo. Solo cocktail drinking being the start or quite possibly the end of a slippery slope in my opinion. 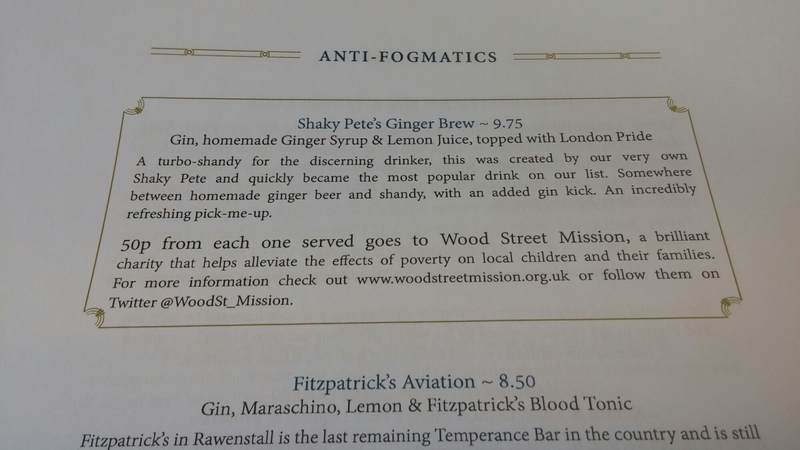 The Shaky Pete did tempt me, being a turbocharged shandy (with shandy meaning it is really just a soft drink , honest gov), but I resisted. I can just imagine J doing an absolute demolition job on the cocktail list here. which I know and love from their London Guildhall and Spitalfields restaurants, including of course what they do best – steaks. These steaks includes monster size cuts on a board on the wall. 1.1kg porterhouse anyone (to share, unless you are a right pig – know a few of them mind – or money is no object)? That will be £99 thank you !! 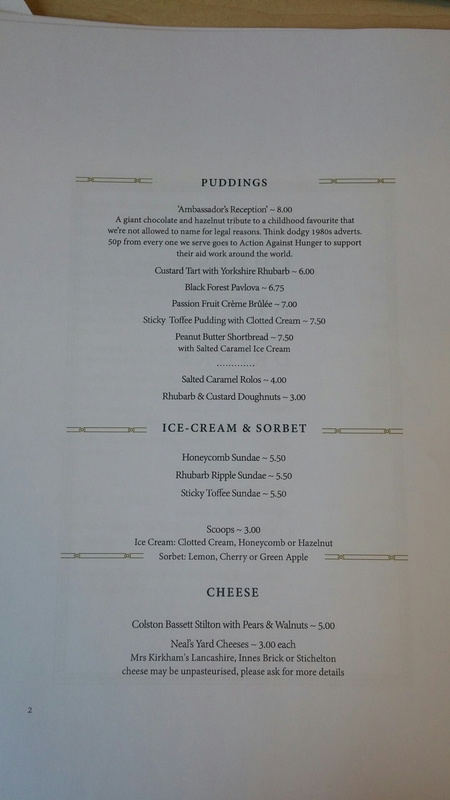 If you are looking for value they have an “express menu” offer (£24 for 2 course, £27 for three course – available lunch time and very early evening only) as well as a ‘rump and chips” lunch time special” for £15. There is also a very interesting bar menu. I suspect their Ginger Pig belly ribs are sublime if the Tamworth ones on offer in their London outposts are anything to go by, I decided to go straight to the mains. My visit not being at lunchtime or within the “express” menu hours and me being on a limited expenses budget, the expensive cuts were off limits. I, therefore, went for what was the cheapest cut of steak on the menu, the 350 gram 55 day dry aged d – rump (a favourite of mine in any event). A veritable bargain at £18 (interestingly £2 cheaper than the London price) and a decent enough size (just over 14 ounces in old money). By way of contrast, the “30 day (wet and dry) aged 12 ounce rump” at the infinitely inferior Miller & Carter in Cardiff is £16.95 (this does include sides mind). You pays your money and takes your choice I suppose. If there was a Hawksmoor in Cardiff that would be where my money would be going if I wanted a steak that’s for sure. D – rump is a popular cut in South America (where they know a thing or two about beef) and comes from a part of the beast that has to do a little work. As a result it has a little more chew to it than other traditional (premium) steak cuts, but it makes up for it in flavour (especially when dry aged for a full 55 days – a process that intensifies the flavour and has the added benefit of tenderising the meat). Dry ageing is much better (but more costly due to weight loss from beef so aged) than wet ageing and when you see statements about aged beef in restaurants and supermarkets I would suggest reading the small print to see if it is dry or wet aged. The latter is aged mainly by the steak sitting in a bag in its own blood, so be wary of any labels claiming ageing unless it is clearly stated to be “dry” ageing. I am very bloodthirsty when it comes to beef and usually cook/order my steak blue, but decided to ask the waiter (services was excellent throughout) how he would recommend it be cooked. He said medium rare to rare for the d-rump perhaps rather than blue and I was happy to go with this. This is, however, not a steak to have well done or even medium well as overcooking it will lead it to toughen up (take note Rachel!). 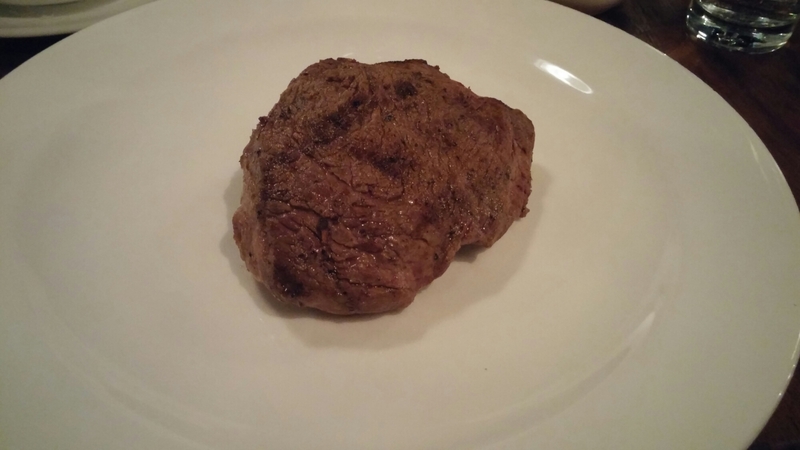 The ageing process had done its work admirably and my d-rump was full of beefy flavour, tender (not fillet tender, but that comes with the territory with the d-rump cut) and cooked exactly as requested (it is surprising and rather depressing how many restaurant fail to do this). Cooked with a nice char on the outside and ruby red on the inside this was meat of the highest quality, cooked just right and eating it made me very happy. bringing back childhood memories of beef dripping on toast (all the young uns in the office recoil when I mention this – don’ t know what you are missing kids) and a Doddington ceasar salad (£4). 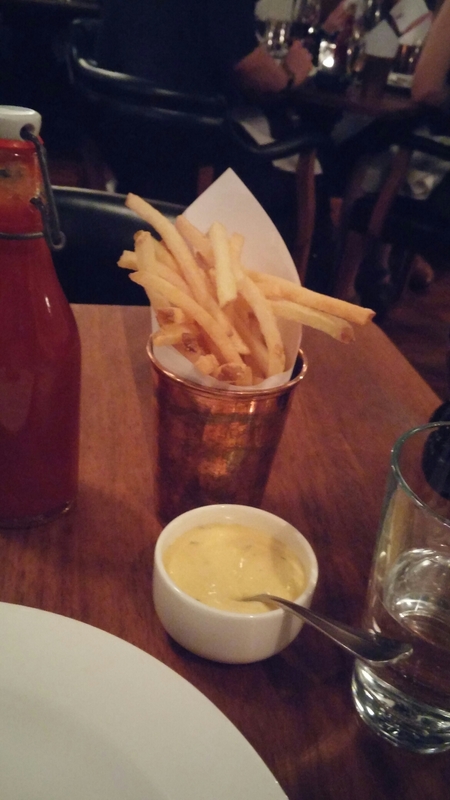 The chips (actually what I would regard as fries rather then chips) were plentiful and nice, but unspectacular. If the menu hadn’t said they were cooked in dripping I doubt I would have been able to distinguish them from normal fries. 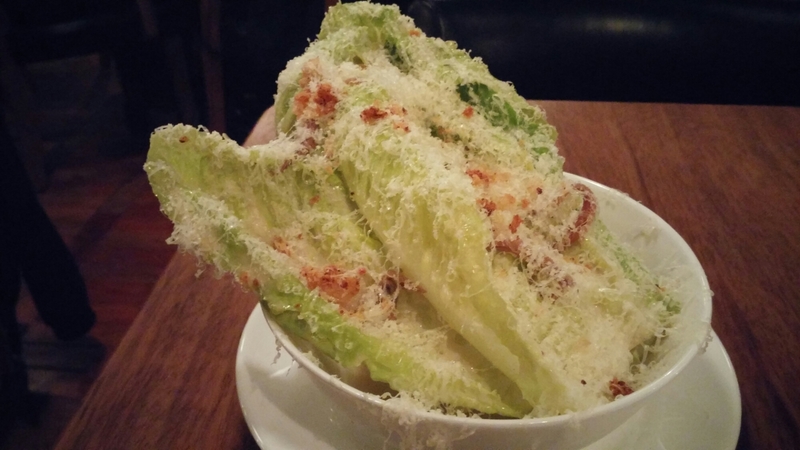 The caesar salad was truly lovely and a very generous portion for a side. The caesar dressing was bang on the money, with plenty of good cheese (doddington cheese – half way between a leicester and a cheddar cheese – rather than the more traditional parmesan) on top of crisp leaves. The addition of what I think were dried anchovies added a really intense umami flavour. Yummy. Since my visit they seems to have changed this on the menu to Linconshire Caesar so presumably the cheese now used is a Lincs. one rather than the Cumbrian Doddington. On the condiment front you can add a variety of sauces to your steak for a very reasonable £1. I went with my waiter’s recommendation of stilton hollandaise. This was well made being the just the right consistency, with the stilton not overpowering and went brilliantly with the d – rump and as a dip for my chips/fries. They also provide a bottle of house made tomato ketchup. Not usually a fan of tomato ketchup, which I tend to find too sweet, but this was pretty good stuff. Everything was perfectly seasoned so the salt and pepper on the table was left untouched. My only gripe with the food was the fact that all sides are extra. So the £18 for my d – rump was just for the bare steak, with all sides extra (seemingly an increasing trend). Adding the two sides (one in reality would have been enough) took the main (bearing in mind it is their cheapest steak) to £28. Does anyone actually order a steak and nothing else?! 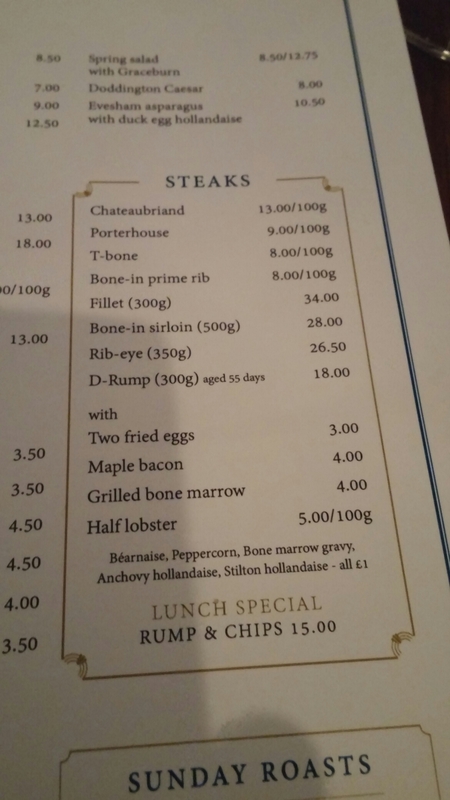 I know people will say not every one wants chips, but including 1 side (of your choice) in the price of the steak (even if price is a bit higher) would be better in my view. They do this for the express menu (albeit a limited choice) so why not for the main one. but I was quite full after my steak and sides and mindful of the need to maintain my svelte (not) figure and my even svelter budget. Wine wise they have a very good, if in some areas pricey, list with some real beauties in the rarities part of the list. but get much more reasonable as you go up the gears. For example, on the rarities part of the list the mark up (over retail) on the Chateau Montrose 1990 is only around 25% (albeit the retail price of this wine is bank account shreddingly high) . For wine lovers they also have a special on Mondays where corkage is only £5 per bottle which covers all bottle sizes (so you can bring as big a bottle size as you can lift – thinking large party and a 6 litre Imperial bottle or two or, perhaps more realistically, a few magnums and the corkage is still only £5 for each). This is a cracking idea in terms of getting punters in on an otherwise potentially slow day and I love having an excuse to crack open a magnum. They have a reasonable number of wines by the glass for solo diners and more at 500ml (2/3 of a bottle) which is a nice size for 2 people (or one of me). 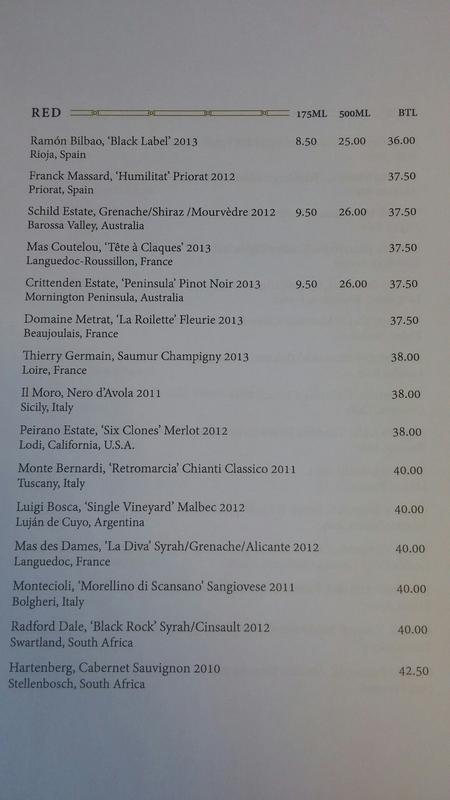 I was tempted by a malbec on the list (classic steak wine) but it was a bit steep at £12 for a 175ml glass. I, therefore, settled on a glass (being a school night) of Ramon Bilbao “Black Label” 2013 Rioja (you knew I would) which was more reasonable (if still a tad pricey) at £8.50 (for a 175ml glass). At £36 for a bottle (I can get it retail for £10) there is, however, a very hefty mark up being applied here. Nice aromas and flavours here in the form of vanilla and autumn (blackberries) fruits, as well as stewed fruits (prunes) on the palate. It had good length (flavour stayed in the mouth nicely rather than falling away), but did feel a touch young. 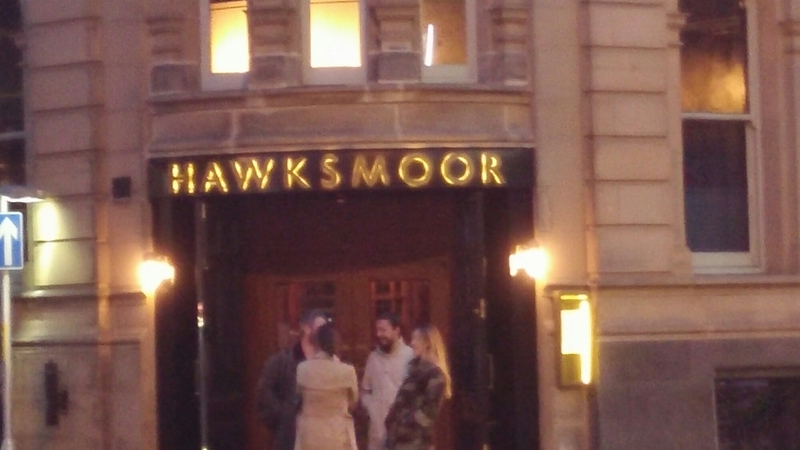 Manchester you are very lucky to have a Hawksmoor in your town and the Mancunians certainly seem to have embraced it, as it was pretty packed on the Wednesday evening I went. It absolutely knocks the socks off any of the “steakhouses” I have been to in Cardiff and I would quite possibly kill to have one in Cardiff. 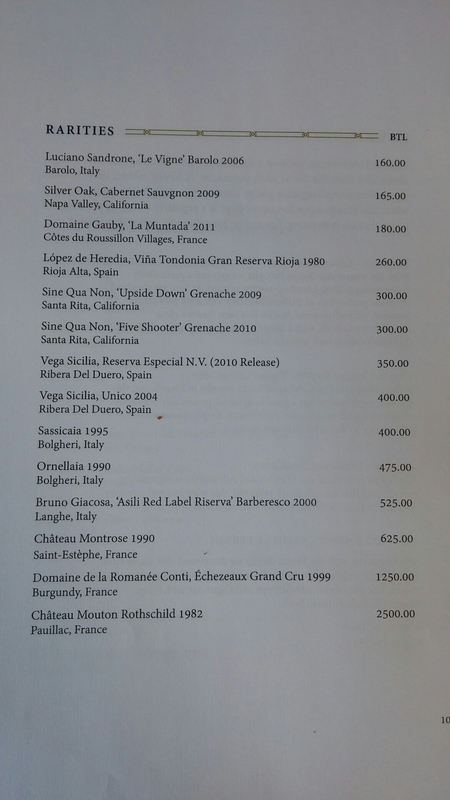 Only qualms are the high mark ups on the wines at the lower price end of the list (mitigated by the all day Monday £5 corkage offer) and the “all sides are extra” policy. It is expensive, but good things usually are and you can bag a bargain if you have the rump and chips lunchtime special, especially on a Monday with the £5 corkage offer in play. Would I go back? 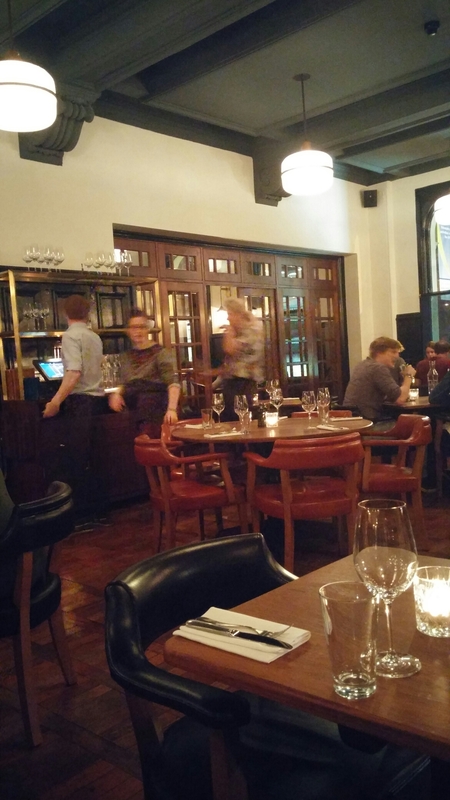 Oh dear God yes – Hawksmoor and I will definitely “meat” again. Better still open here in Cardiff so I can go more often. Pretty please. Go on you know you want to, Hawksmoor. I know an ideal premises for you in the city centre. Various other locations across London (and hopefully one day in Cardiff). 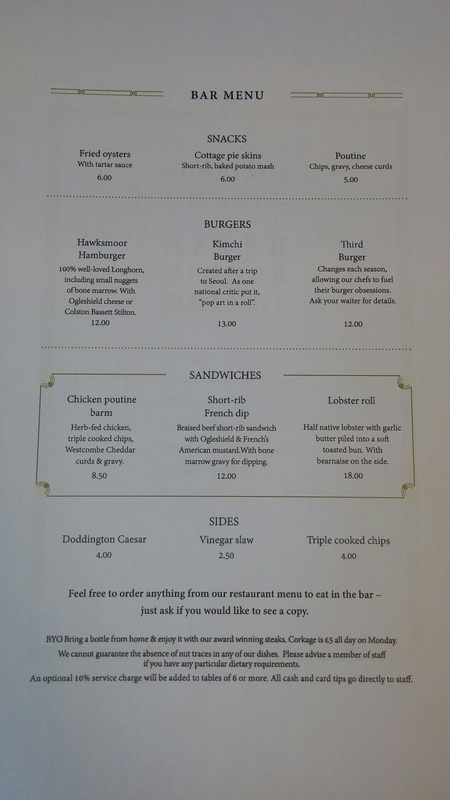 Since my visit they have introduced a new menu with more fish and shellfish on offer. Details can be found on their website. All a steak should be. 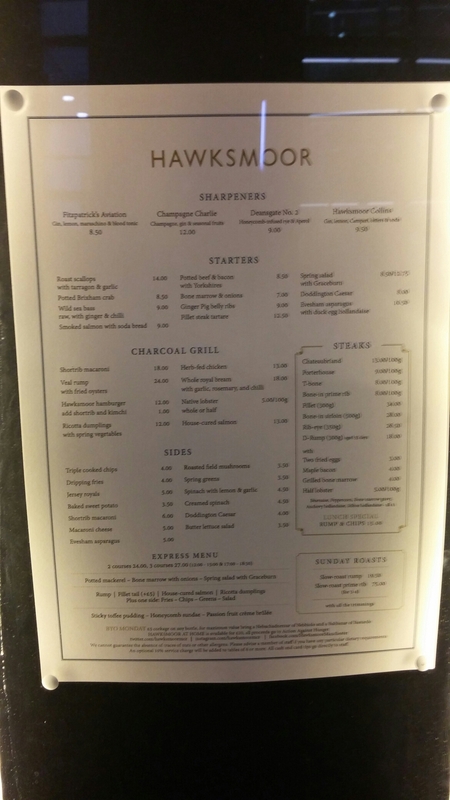 This entry was posted on May 24, 2015 by solicitingflavours in Argentinian wine, corkage, Drink, Fine dining, Fixed Price Menu, Food, Food and wine products, Hawksmoor, london, Manchester, Outside Wales, Red Wine, Restaurant Review, Rioja, Spanish wine, steak, Steak house.